Portals are web based applications for information delivery, communication, collaboration, automating business processes through interconnected applications and web services. Content management involves collecting, managing, and publishing the information and making it easily accessible to you employees and customers. The enterprise portal landscape has evolved a lot in the past few years. It has matured as an essential component of enterprise systems and as per David Sacks, it has moved from a focus on browsing, to searching (e.g., Google), and now to sharing (e.g., Facebook). According to a recent study of IDC, "The enterprise portals market is expected to grow at a healthy clip over the next few years as customers continue to implement multifaceted portal projects combining broad content, collaboration, and search capabilities." "While the portal market may have lost its media shine, it remains essential technology for a broad array of enterprises," said Liferay chief executive Bryan Cheung. 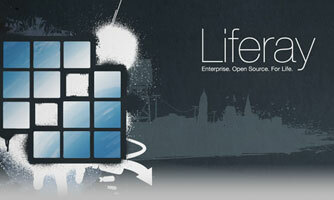 Liferay Portal is one of the leading open source portal solution for the enterprise. It was recognized by Gartner as a Leader in its Horizontal Portal Products Magic Quadrant in 2012 and was ranked as the "Best Open Source Portal" on the market by InfoWorld. Enterprise portal application development has become an effective solution that drives efficiency, collaboration and integration between people, information and processes within organizations. Liferay Portal helps organizations achieve exceptionally lower total cost of ownership (TCO) and higher return of investment (ROI). Liferay Portal comes in two versions: one is entirely an Open Source Community Edition, which is free and the other is the Liferay Portal Enterprise Edition which has three levels of enterprise subscription and support services. It also follows several specifications and open standards for content, portlets, web services and front-end technologies to reduce development cost and offers feature-rich and broad product capabilities to provide immediate return on investment. Liferay provides many out of the box features and ready to use application called "portlets", allowing Liferay developers to quickly create and customize an enterprise portal system, a Content Management System (CMS) site, or an enterprise social network site to meet custom requirements. You can also easily integrate Liferay with other third party applications such as Alfresco, SAP, etc. You can check out http://www.liferay.com/products/liferay-portal/features/portalfor a comprehensive list of features. Liferay has a scalable architecture that is open source developed to meet the high performance and availability requirements of an enterprise. It supports both horizontal and vertical scaling methodologies. It is suitable for enterprise use because Liferay allows you to scale your system efficiently as your user bases grow. Liferay uses industry standard, government-grade encryption, and provides a secure single-sign-on (SSO) option to all of your integrated applications. It provides a flexible yet robust authentication & authorization support. Liferay continues to add new features and create partnerships with different technology providers to ensure that they provide business relevance and value. Liferay initially launched the Liferay Marketplace that encourages collaboration and innovation among its community members and partners. While the latest Liferay Portal 6.1 EE offers key usability enhancements and many new business value features including – Liferay Sync, dynamic drag-and-drop for document and media libraries, multiple website versions, new workflow and forms designers and a lot more. Recently, Liferay updated its Liferay Sync document sharing/synchronization tool for mobile usage, while also introducing version 2.0 of its Alloy Java script framework.